Would you love to enjoy a truly lavish shower? 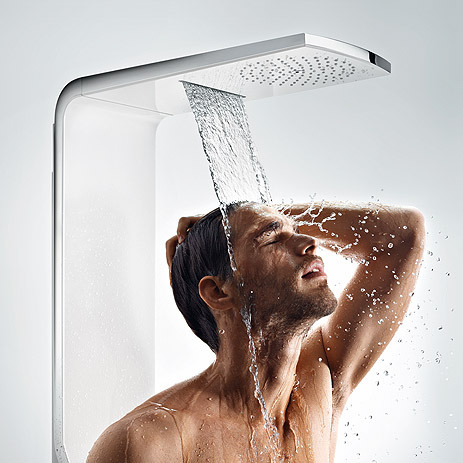 Hansgrohe offers overhead showers featuring impressive spray discs - up to 600 mm in diameter. These rain showers offer you a lavish showering experience, and they are big on convenience too. Rainmakers Select overhead showers. These set aesthetic highlights in modern bathrooms with their clear-cut design and space-creating character.